It’s December, boys and girls, and for many that means being knee-deep in holiday everything. Whether you are shopping for those nice (not naughty) individuals on your gift lists, or simply looking for inspiration on gifting yourself (hey, you’ve got needs too! ), chances are you just might be scratching your head, trying to figure out the what in this gift-giving situation. Here, I’d like to point out oftentimes overlooked gift options for the perpetually busy, fit-minded individuals in your life- software, and tech gadgets. More specifically, Microsoft’s Office 365 Home Premium, and the awesome-sauce Microsoft Surface Pro 2 or Surface 2. Having had experience with both, you could say I’m in a very satisfied long-term relationship, and here’s why I think you (or they!) would be, too. Many are familiar with good-ol’ Microsoft Office, but this holiday season, Office 365 Home Premium is where it’s at when it comes to go-anywhere accessibility and productivity. Not only do you get updated versions of your favorites (Excel for food and exercise tracking, anyone?! ), but you also have the ability to install said software on all of your devices (up to five PCs or Macs, and up to 5 mobile devices), which means that you can access your world (spreadsheets, workout plans, diet specifications) from anywhere. Speaking of Office 365, one of the handy-dandy apps that comes with it is OneNote, which rocks for so many reasons. The new-and-improved OneNote lets me (and you!) upload everything from check-lists, to workouts. With the new update for Windows 8.1, OneNote Camera Scan takes photos of everything from blackboards (e.g., CrossFit WODs) to magazine pages (say, a new exercise from Muscle and Fitness Hers Magazine) and automatically crops, rotates, straightens, removes shadows, and sharpens images so they look like honest to goodness scanned documents. In short, you get a pretty little picture that’s crystal clear and accessible whenever you want it. While we are on the topic of accessibility, SkyDrive has become my go-to when it comes to access-it-anywhere storage. Whether it’s my workouts, meal plans, tips and tricks, or my endless barrage of gym-floor selfies, I store it all on my SkyDrive account (in the cloud), oftentimes calling on content in the weirdest of places. Case in point, I had some extra time on my hands to spend at the gym, but still needed to take breaks during the more intense points in my workout. In between weight training and cardio, I popped into my gym’s break room, pulled out my protein shake and Surface Pro, and penned a fitness-related blog post from my gym. On hand were all of the tools and materials I needed to get things done. The Microsoft Surface 2- The Tablet That Thinks It’s a Desktop, and Has the Specs to Prove It. The Microsoft Surface 2 and Surface Pro 2 are the go-anywhere tablets of your dreams. With all the firepower of your favorite Windows desktop computer crammed into a pretty little lightweight tablet, it’s hard not to love this tool. With its lightweight and sleek design, the Surface series is built for mobility. Loaded up with the very best in Microsoft apps while also running Office, I am able to keep track of anything and everything, no matter where I am. In case you need even more fitspiration and giftspiration (see what I did there?) Microsoft Retail Stores are launching 12 Days of Deals! On 12/9, Microsoft retail stores kicked off 12 days of Deals, featuring special daily offers in-store and online on tablets, phones, computers, fitness- and music-related items, and other Windows and Xbox accessories. Deals change every day during the 12 Days of Deals, and a limited number of doorbuster deals will be available for customers who get to the store early. In addition to the daily deals and doorbusters, customers can get into the holiday spirit through a variety of in-store workshops and events. 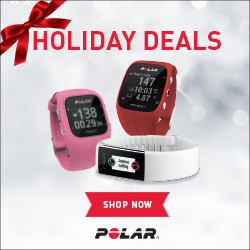 · On Tuesday, Dec. 10, the daily doorbuster for the first 20 customers inside the store is the Garmin Fitness Watch and $25 gift card for $99.99. After those 20 customers, the daily deal will be a Garmin Forerunner 110 Fitness watch plus a $25 gift card for $129.99 while supplies last (both online and in-store). Visitors will also have the opportunity to demo Xbox One fitness games and applications throughout the day. Supplies are limited, so be sure to check out the latest offerings each morning and get there early to score the daily deals! All in all, Microsoft technology is where it’s at, boys and girls. Get you some Microsoft gifting action this holiday season. You can check out all of these and more by visiting the Microsoft store online.